ARCHgallery is pleased to present a solo show of new paintings by David Webb. Within this body of work, he brings together two themes. Firstly his continuing responses to family stories of travel and secondly paintings based on drawings and memories of three recent trips to the United States and Latin America. 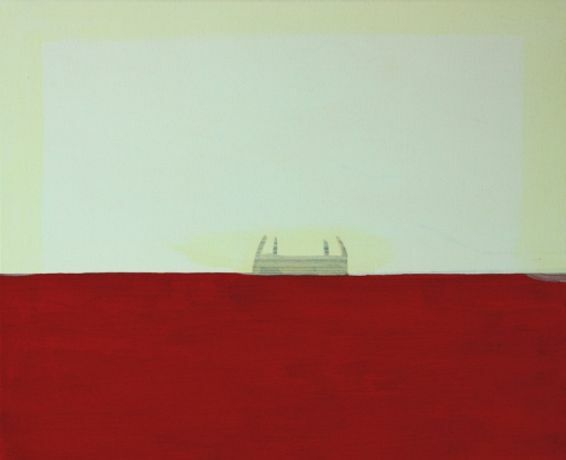 What connects the ideas are Webb's use of colour to make natural light and space, and distinct shapes that re-form the realities he bases his work upon. The resulting images are not referential but aim to seem familiar, intimate and personal with a strong sense of place and allusion to narrative. David Webb is based in London and studied at Aberystwyth and Canterbury before residencies in the USA and the Cyprus College of Art. He was selected for the Jerwood Contemporary Painters Prize in 2009 and has exhibited extensively in the UK, Europe & the USA. His work is in a growing number of private collections.